So, learning to knit ISN’T going to help with my essay? Sorry procrastinators and those who thrive on the adrenaline rush of last-minute essay completion – the results are in and it’s not good news. 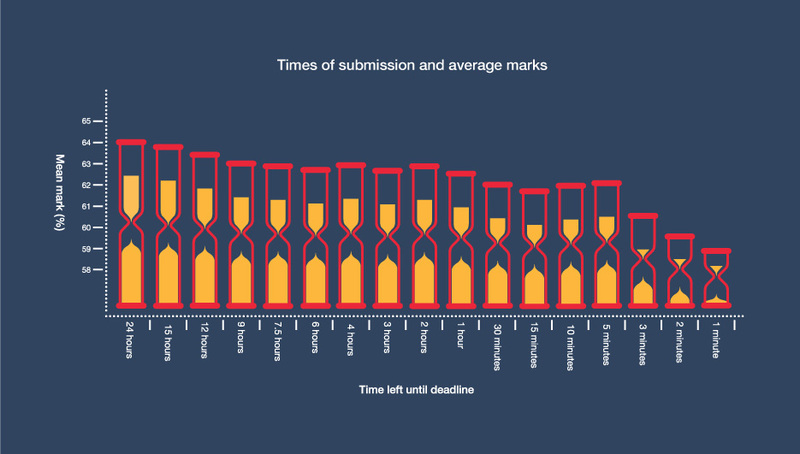 A study out of the University of Warwick Business School has shown that students who hand in assignments at the last minute face a five per cent drop in marks when compared with those who submitted 24 hours or more before it was due. Work handed in ahead of schedule was far more likely to be awarded a distinction than work not handed in until much closer to the deadline. The average mark dropped by the hour until those handing in the paper at the last minute produced the worst results. Those that literally handed work in at the last minute could see as much as a five per cent drop on score, from 64.17 to 59.00 — taking them a whole grade lower. So what can you do about your procrastination habit? How do you stop yourself from meandering into the depths of pointless activities, random hobbies (not that there isn’t value in knowing how to knit) and delaying the inevitable task ahead? The nifty QUT Library Assignment Calculator can keep you on track to complete an assignment with plenty of time to spare – including reminding you to take breaks and have some fun along the way! For a more long-range view of how to manage your time across the semester, the QUT Library Semester & Weekly Planning guide can help you see at a glance what’s looming and help you juggle all your competing priorities. For specific essay help, the Library Writing an Essay guide as well as our most popular resource, the Writing Structure Overview, specifically address the requirements of essay writing. Also, check out our related QUT Library Blog post Writing great Assignments for more tips and save the knitting until semester break. 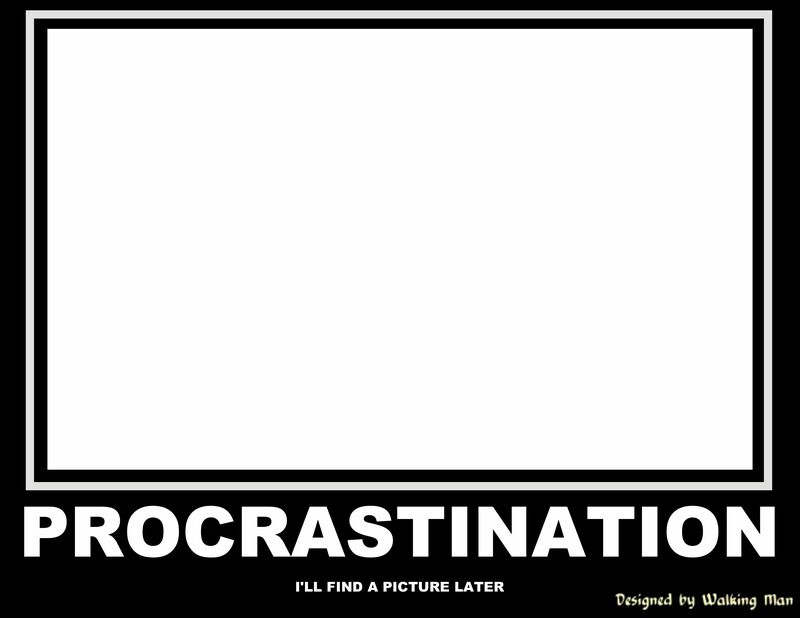 Despite the best of intentions, procrastination can take over a SWOT Vac. Suddenly all the time set aside for revision has dwindled away. So what are the best ways to migrate from the nation of the Procrasti (as the QUT Student Share house blog brilliantly describes it) and get back to being productive? Although initially hesitant when I read about The Pomodoro technique on The Thesis Whisperer, I’ve found that dividing time up into 25 minute sections, with a mandatory 5 minute break, is perfect for concentrating on study. It’s simple to implement and really forces you to focus. All you need is a kitchen timer, pen and paper, and some tasks to complete. Now is not the time to learn to knit (or keep a clear idea of your priorities). There are some assignments to which anything seems preferable (including cleaning the oven/bedroom/pantry/wardrobe). This is where having a plan or a list of achievable goals can make it easier to stop putting things off. To-do apps like teux deux or Remember the Milk are really useful for this too. Break bad habits. Identifying what triggers distractions can limit procrastination. Trial a Facebook and Twitter free zone. Turn off email notifications. Change the environment where you study. For example, try treating revision like a job; take advantage of a quiet spot in the library for a shift, and then go home and relax. QUT Counselling also provides support if procrastination is becoming increasingly problematic. You can download their procrastination factsheet or find out about their services on the QUT Counselling website. While procrastination can be a difficult habit to kick, there are a lot of suggestions and tips you can try to limit its effect on your study. Let us know what has worked for you. What would you recommend to others?